Sorry, Ladies, we have not opened it up for Ladies Barrel Racing. 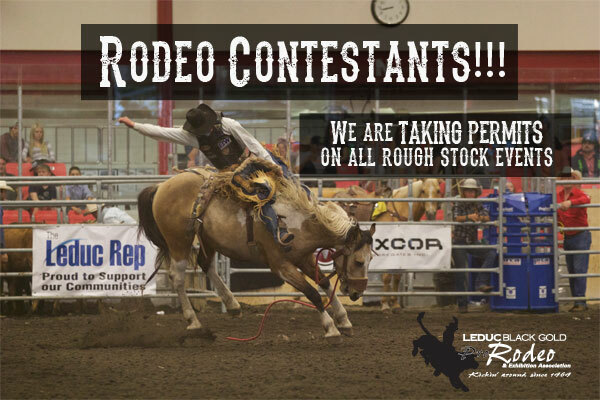 Contestants are welcome to apply on the CPRA www.prorodeocanada.com website. 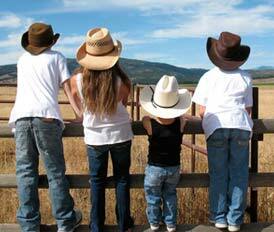 This year, the Leduc Black Gold Pro Rodeo is accepting a new category of cowboy known as "permitted contestants". These courageous riders are in the midst of an accreditation process with Pro Rodeo Canada on their way to becoming full members of the association and the next heroes of the Canadian circuit. Although they are in various levels of their "apprenticeship", these riders will be going head-to-head with seasoned pros and can claim the top prize with a break-out performance. Just competing, however, helps these emerging rodeo entertainers gain the experience and confidence they will need to further their rough stock riding careers. In order to become a "permit holder" and authorized to compete in CPRA-sanctioned events, this fresh crop of rodeo riders must be at least 18 and have the written approval of two regular members in good standing with the CPRA in the competitors' designated event. Once these young bucks have completed their accreditation process, they can become full members of the CPRA and able to compete for the points to take them all the way to the CFR. Before these "permit holder" contestants can compete for points in the CPRA circuit they are required to fulfill a number of requirements along the way but any money they win is still there's to keep. This new class of cowboys is going to force the cheering crowds to make a tough choice between popular pros who have already made a name for themselves in the rodeo world or the up and comers who can play spoiler to the fully certified riders. So who will you root for? !